Most organizations use a variety of chemicals in their workplace, even if it is just limited to janitorial supplies, and therefore need chemical tracking procedures at some level. As the number of chemicals begins to increase, organizations begin to benefit from more comprehensive chemical inventory management systems. This helps the organization understand what chemicals they have and where they are located. SBN has created mobile chemical inventory software that allows organizations to quickly and effectively manage their chemical inventories from the field. Using a mobile device, users can add new chemical containers to the inventory, scan barcodes on existing containers and edit information about those containers. This powerful solution is capable of managing tens of thousands of chemical containers from the field, even if there is no WiFi connection. 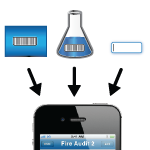 Our chemical inventory management system uses the scanning technology build into today’s mobile smart devices. The entire inventory of chemicals can be stored on the mobile smart device during use, so WiFi is not an issue. 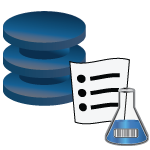 Then users simply scan the barcode and the application will pull up the information in the database for that chemical container. Users can edit information in the field. When the user is back in a location with WiFi, the information is automatically updated in the central chemical inventory database.